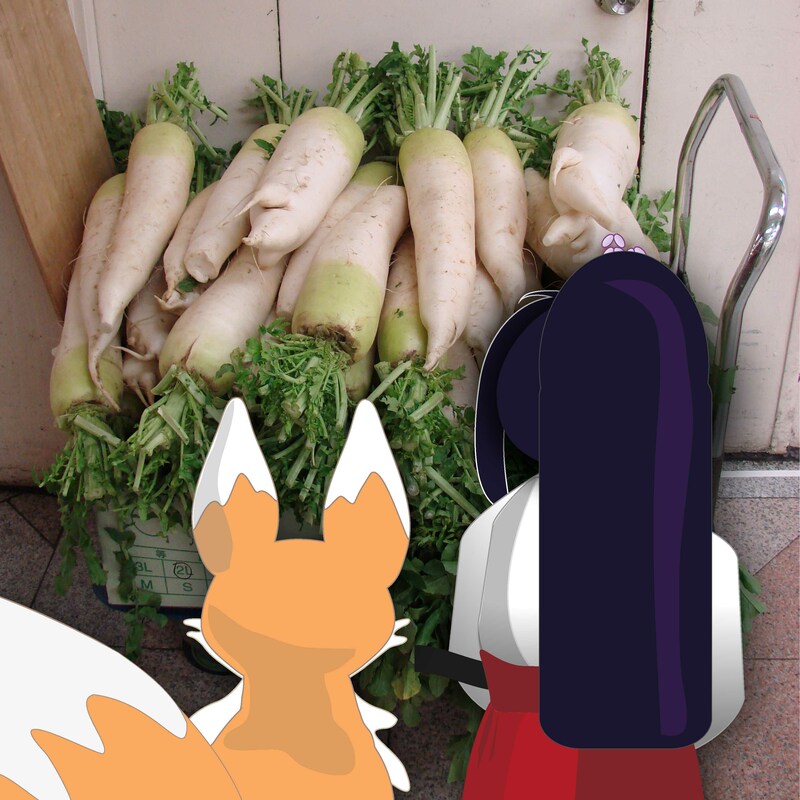 Indeed, when Kiku looked more closely at the huge pile of vegetables, he could see what she meant. 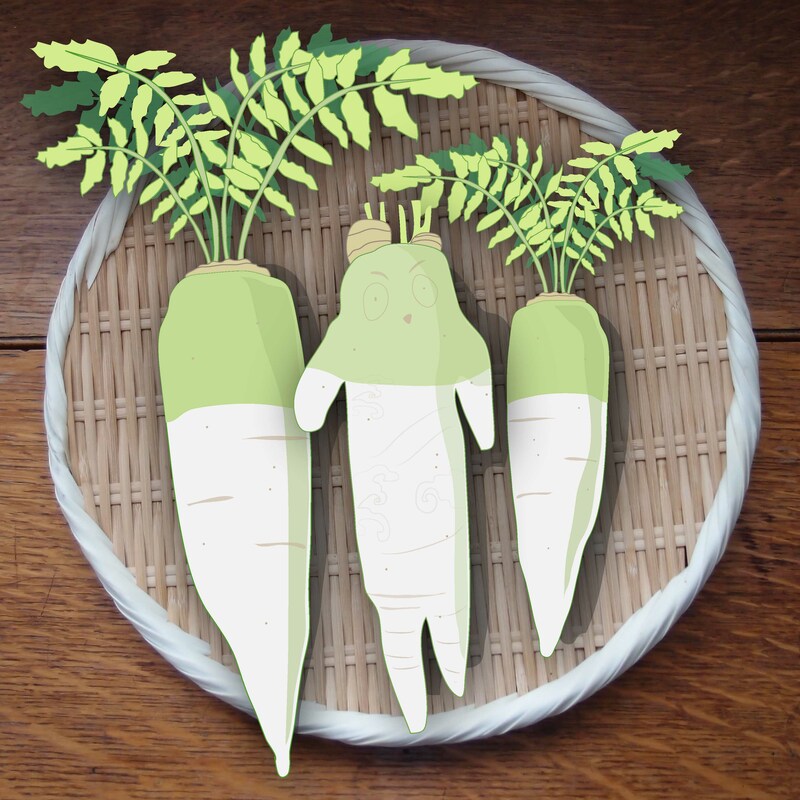 One of the radishes had extra roots that looked like arms and legs and markings that made it look just like their landlord. “It even looks cross and scary like the real thing”, mused Miko. 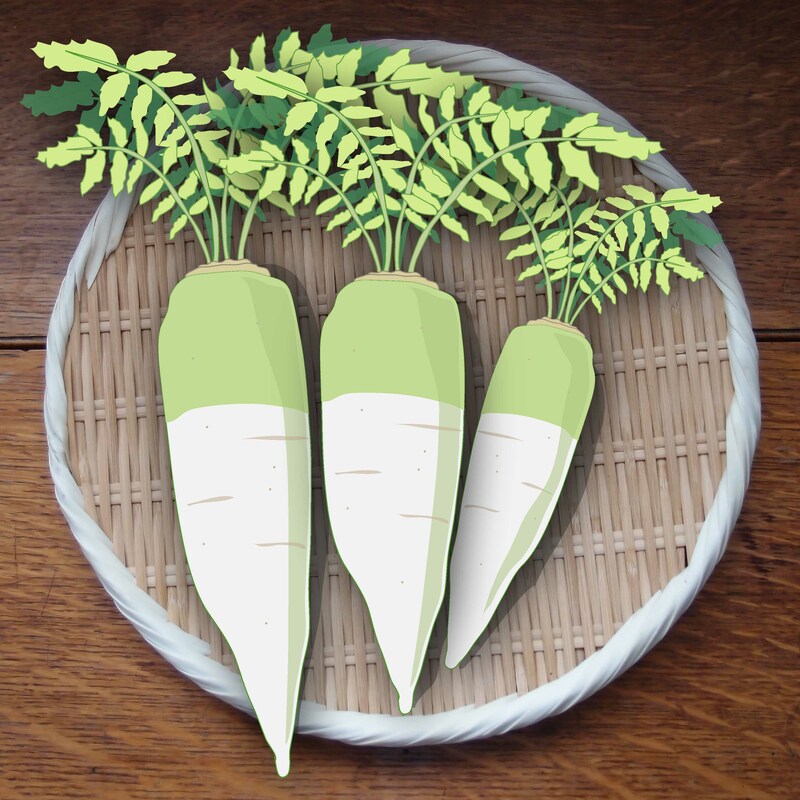 They decided to buy three radishes to take home to the bathhouse for dinner, and bought the one that looked like the big panda – although they agreed they probably wouldn’t show him, in case he didn’t see the funny side!